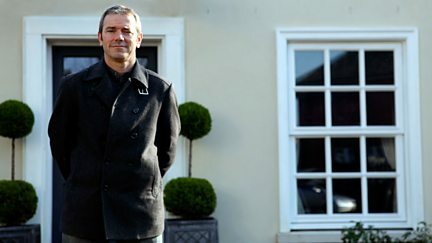 Martin and Lucy visit properties in London, Derbyshire and Wiltshire. A site in Ilkeston, Derbyshire, a property in Kent and a cul-de-sac in Warrington. Martin Roberts and Lucy Alexander visit homes in Devon, Enfield and Greater Manchester. Martin Roberts and Lucy Alexander visit properties in Dorset, Portobello Road and Newquay. Martin Roberts and Lucy Alexander visit properties in Cornwall, Margate and Telford. Martin Roberts and Lucy Alexander visit properties in Kent, Devon and London. Martin Roberts and Lucy Alexander visit properties in Derbyshire, Croydon and Ayrshire. Featuring a house in Lincolnshire, a commercial unit in Dartford, and a semi in Cornwall. Featuring a bungalow in Kent, a flat in Lancashire and a former station master's house. Featuring a former coach house in Devon as well as properties in London and Yorkshire. Martin Roberts and Lucy Alexander visit properties in Cardiff, Watford and Manchester. Martin and Lucy visit properties in Cornwall, Shepherd's Bush and Gainsborough. Martin and Lucy visit properties in Darlington, West Hampstead and Devon. Martin and Lucy visit properties in Cheshire, Wiltshire and Cornwall. Martin and Lucy visit properties in Bishop Auckland, Hythe and Chippenham. Martin and Lucy visit properties in Macclesfield, Plaistow and Cardiff. Martin and Lucy visit properties in Pleasley, Poplar and Carlisle. Martin and Lucy visit properties in Stoke-on-Trent, Herne Bay and Nottingham. Martin and Lucy visit properties in Devizes, south London and Colne. A house in Salford, a plot in Chatham and a property in Brampton that could be split. A house in Cornwall, a 50s end-of-terrace in Wiltshire and a property in Swinton. Martin and Lucy visit a garage plot in Derby, a home in Kent and a semi in Lancashire. Martin and Lucy visit properties in Fife, Kent and Cheshire. Simon O'Brien cannot see the wood for the trees when trying carpentry at building college. Simon O'Brien tries not to throw the towel in when fitting a bath at building college. Simon O'Brien is left high and dry when he has to fix a roof ridge at building school. Featuring a cutting-edge home in Wales that really has the wow factor. Simon O'Brien gets stuck in to building stud walls at building college. Simon O'Brien tries his hand at building a stone wall at building college. Simon O'Brien tries his hand at plastering at building college. A landscape gardener single-handedly builds his own home in Northamptonshire. Martin Roberts and Lucy Alexander visit homes in London, Kent and Stockport. Martin Roberts and Lucy Alexander visit homes in Lincolnshire, London and Kent.